When a team is down, when the night looks as if it's going the wrong way, it looks toward its most dangerous scorers. 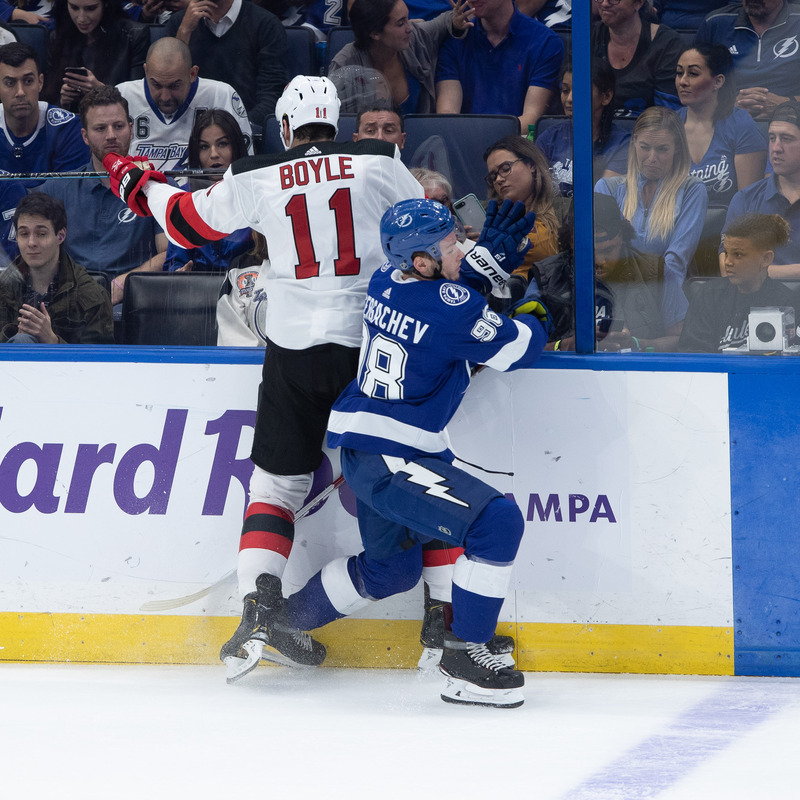 Not Brayden Point. Not Tyler Johnson. 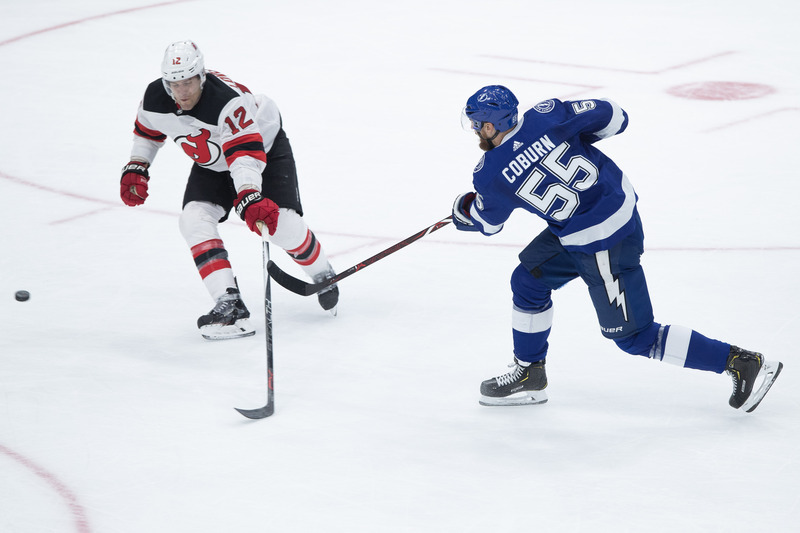 Coburn, the defenseman with just a passing relationship with the goal, scored twice in the first period of Tuesday night's game, helping the Tampa Bay Lightning to overcome a terrible start in an 8-3 win over the New Jersey Devils. Coburn, who has only 44 goals in his 14 seasons in the NHL, hadn't scored two goals in a game since Halloween of 2009, when he scored twice in the third period in Philadelphia's win over Carolina. 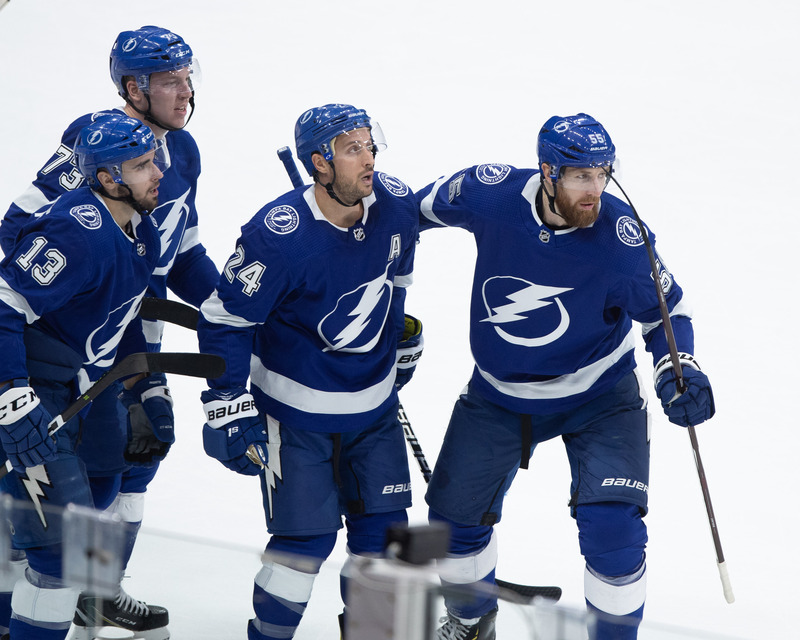 "Our big goal scorer was our savior," said Lightning coach Jon Cooper. "They (the players on the bench) had a lot of jump when he was going down the wing late in the third and went wide, I'll tell you the guys were really excited on the bench. He's played a lot of games in this league, and that chance doesn't come around too often. When they do, the guys are excited for him and they really were tonight." 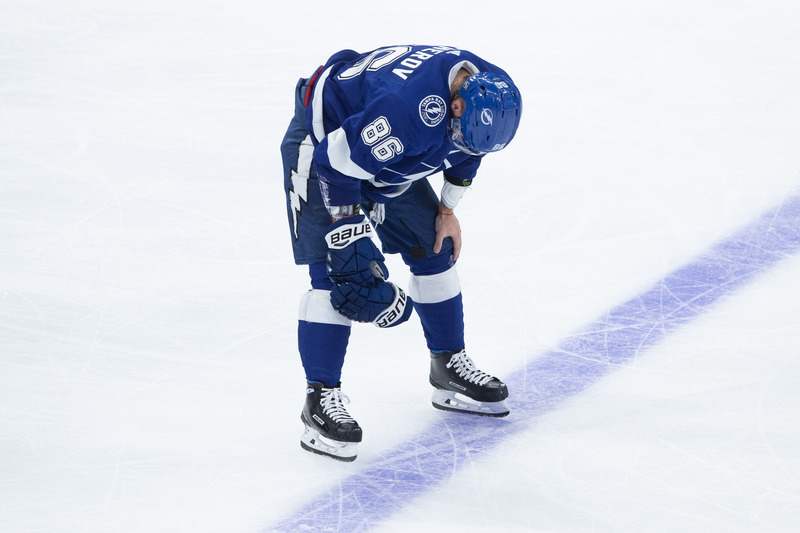 The Bolts, coming off a 7-1 loss to Arizona, fell behind 2-0 in the first five minutes of the game. Coburn, however, led the Bolts back. 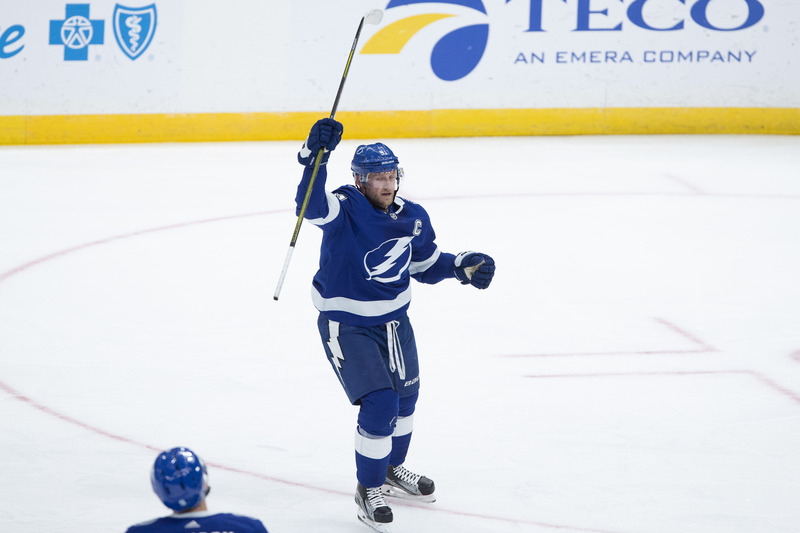 The Bolts came back afterward when most of their best scorers found the net. 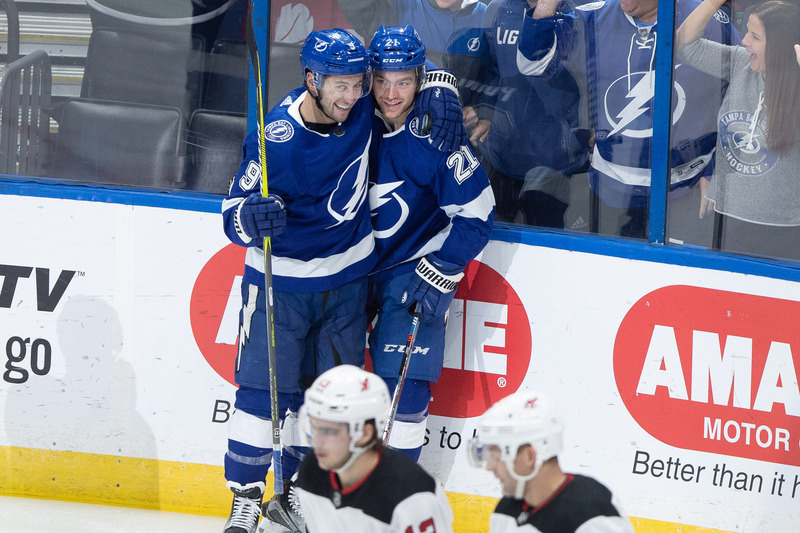 Kucherov scored two goals, and Brayden Point had five points. Point, Stamkos, Tyler Johnson and Ryan McDonagh all scored. “It was a good game, and I thought our line was skating well, so it’s good to get rewarded,” Point said. Said Coburn: "Pointer just controls the game with his speed. He’s all over the ice. He’s got the puck. He supports the puck. He’s on top of guys. He’s so tight defensively, and I think it frustrates offensive guys. When he gets the puck, he’s gone. He’s gone. He takes advantage offensively. He uses his speed to make space and chances for himself and his teammates." Point, once again, drew a tough defensive assignment against the Devils. "He's been doing it for a couple years now, and he's the guy that has to face those big lines more often than not and it's a bonus for us," Cooper said. "It's somebody who is such a good two way player to be able to have that assignment of not only playing a big part in shutting down a team’s big line but then to get the points he was getting on top of that, that's what makes him the player he is today." 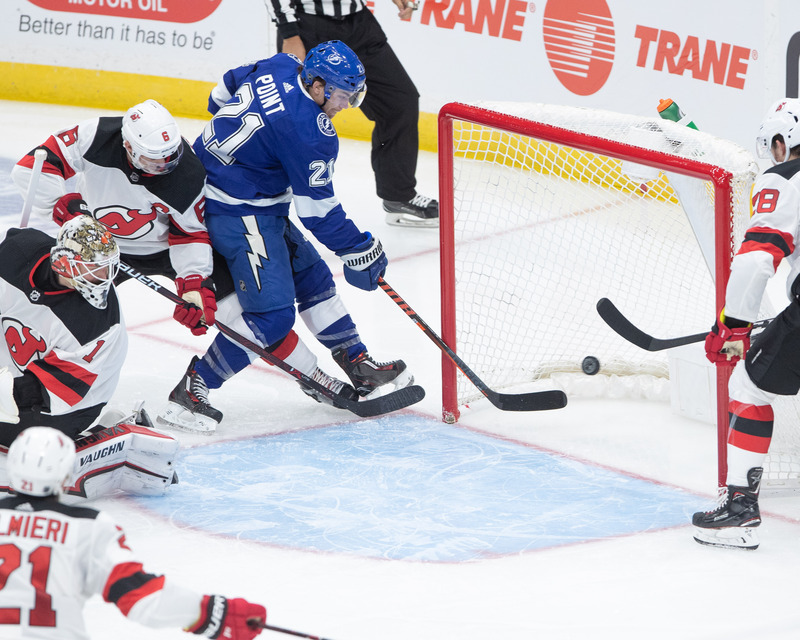 Lightning goaltender Andrei Vasilevskiy stopped 27 shots in improving his record to 6-1-1. Tampa Bay improved to 8-2-1 on the season. The Bolts are home against Nashville on Thursday night. The puck drops at 7:30 p.m.